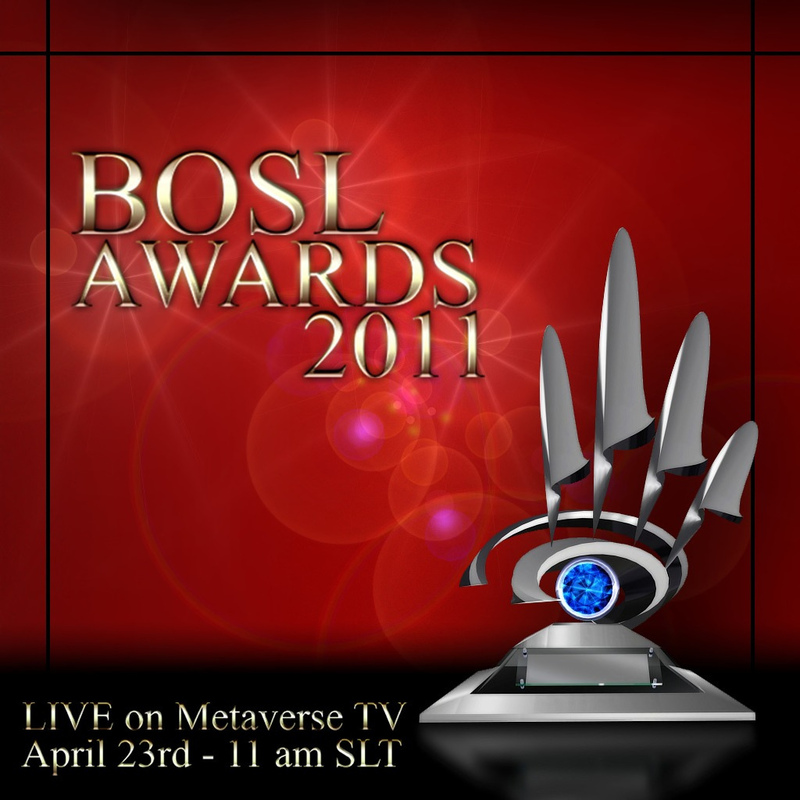 This entry was posted in Events & Contests and tagged 2011, award, Best of SL, BOSL, BOSL Awards, Boulevard, Frolic Mills, Frolic Missl, Magazin, Metaverse TV, Model, Modeling, Nomination, Wicca Merlin, winners. Bookmark the permalink. ← “Leaves of Life”- Latest News by Mea Culpa!